The word application is often defined as a request for an entry to a job (i.e. job application), a school, or an organization. The term may also be used to describe the form a person needs to fill up upon applying for something. The person applying is commonly known as the applicant. Depending on where you are applying, there are various application guidelines you need to follow. 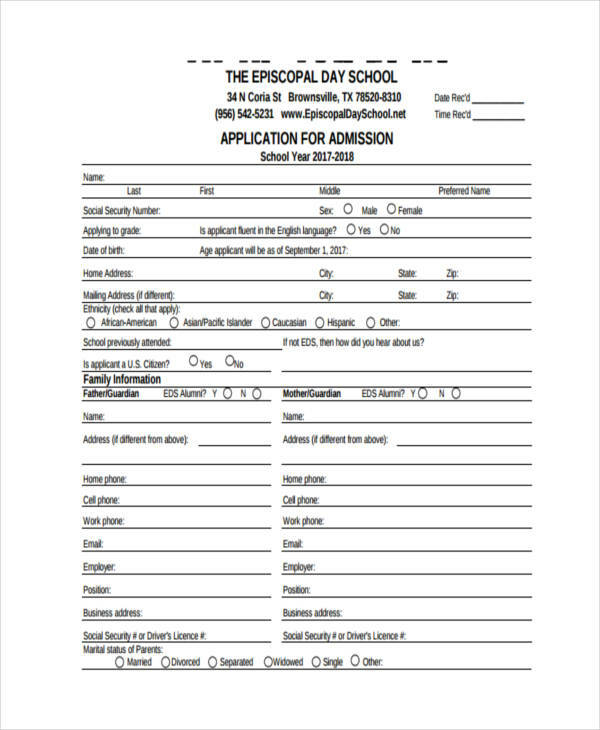 Some may require you to fill up an application form, others may require an application letter. But whenever you apply for something, it is a must to provide some basic personal information. What Is a School Application? 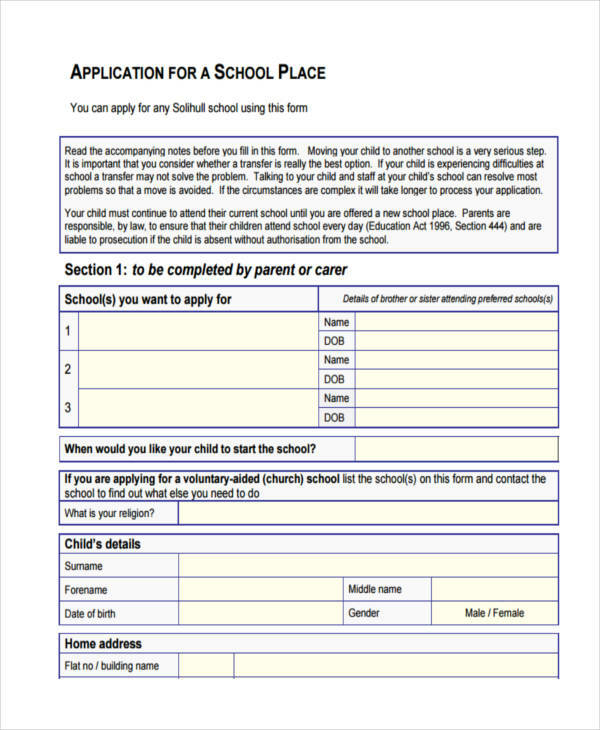 A school application example is the process where an individual requests for admission to an educational institution. The term is also used to describe the form used in the application process. 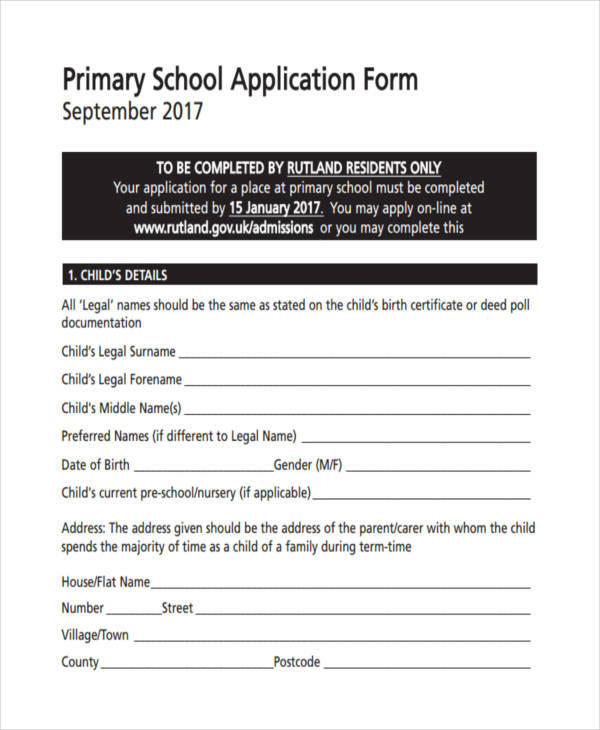 Different schools vary on their application process but most schools usually require the applicant to provide his/her basic information including family background, as well as educational background and qualifications. 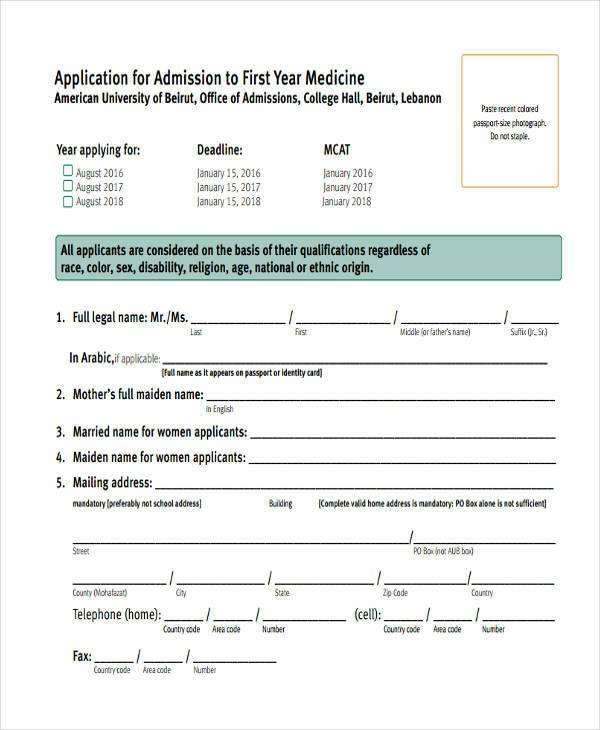 A high school application can be defined as either the act of applying for an entry to a high school or the form to be filled out by the applicant. 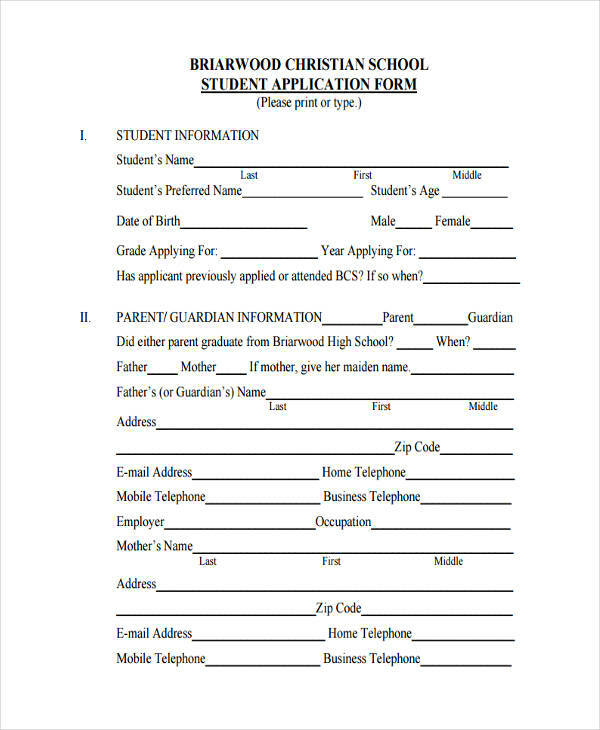 In filling out a high school application, you just need to follow all the instructions written on the form. Different schools follow different processes and you might get confused from time to time. So if you’re confused with something, do not hesitate to ask the staff. You can also see Internship Application Examples. Also, do not stress out. Filling out a high school application is not an exam and no one is grading you, so relax. 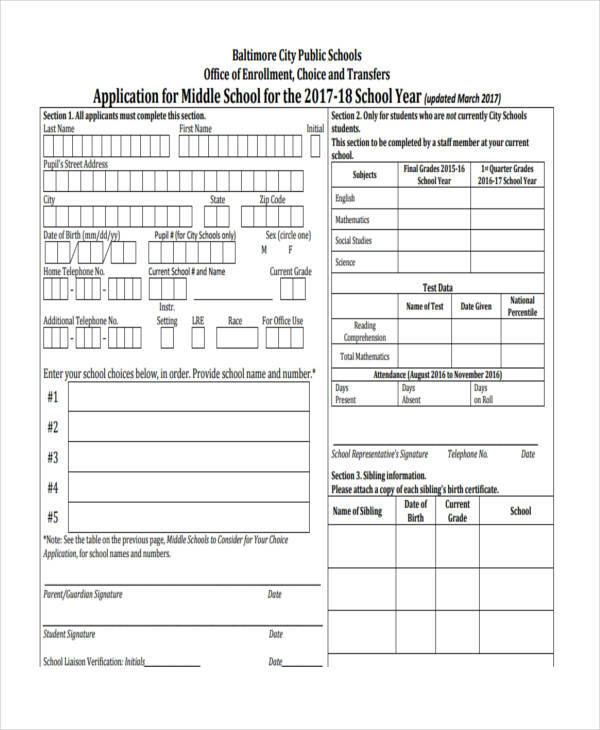 You may practice filling out some sample applications to familiarize yourself with the format. Immediate address and permanent address. Age, date of birth and place of birth. Name of previous school (if any). 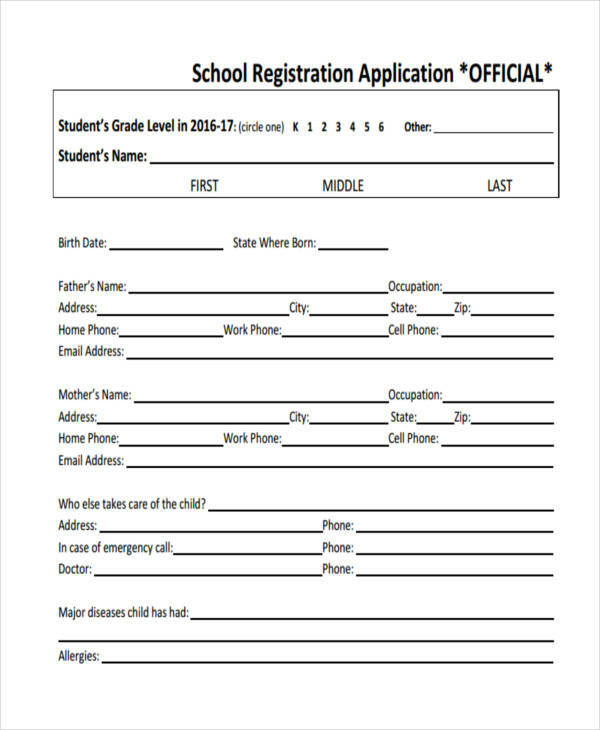 The list above are the basic information found in school applications. 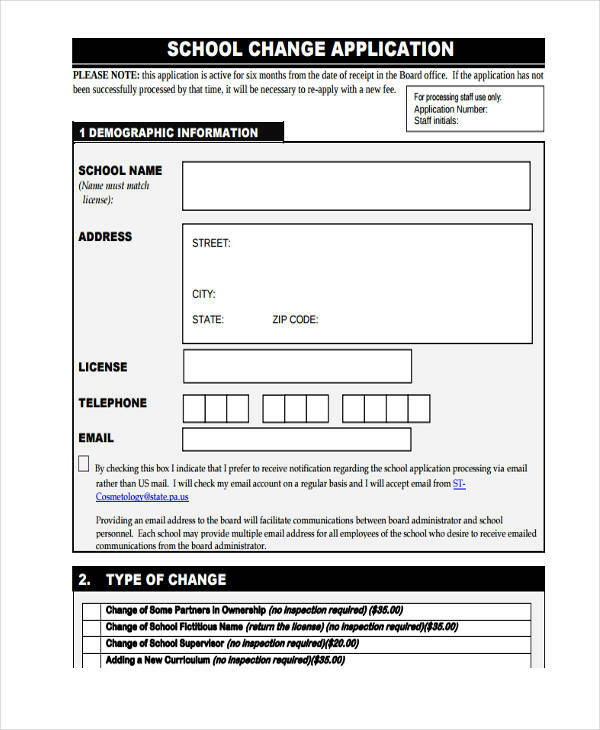 However, depending on the school you are applying to, the school application and examples such as applications in pdf may contain information not listed above. CAPITALIZE EVERYTHING. 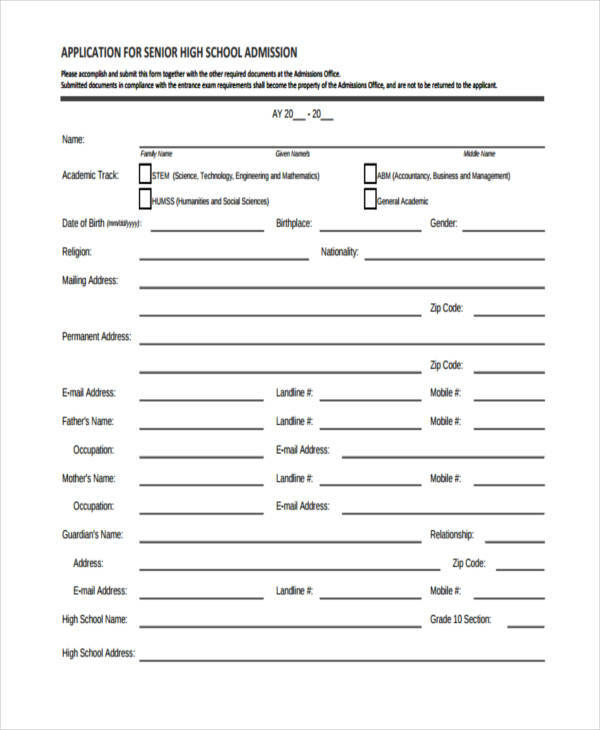 This is the best way to fill out a school application. This is to avoid confusing the encoding personnel especially with similar looking letters (e.g. lowercase L and uppercase I). Ask questions. If you are confused with something, don’t be afraid to ask. Take your time. Unless someone gives you a time limit, take your time to avoid mistakes. Be accurate. All information you provide will appear on the official school records, so provide the correct information. Write neatly. Avoid erasures. It is better to use pencil to easily erase in case you write something wrong.